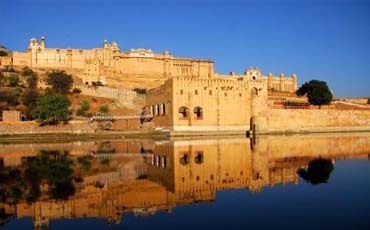 Jaipur is in close proximity from Delhi and Agra; they form a" Golden Triangle" which is named against the distance to be travelled from one place to another. 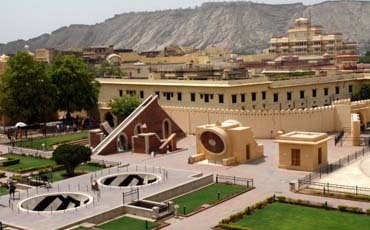 This city has always been a place for tourist attraction because of its Rich Heritage, Architecture, Art and Craft, Rajasthani Jewellery, Fabric, Shoes and many more. 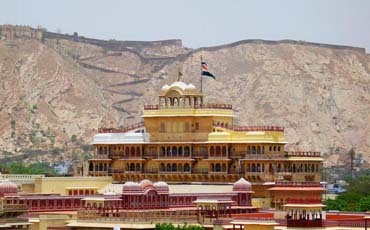 The most visited attractions of the capital are Hawa Mahal, Amber Fort, Central Museum, Jal Mahal, Sheesh Mahal, City Palace, Nahargarh Fort, Jaigarh Fort, Jantar Mantar, Ganesh Pol, Lakshmi Narayan Mandir and more. 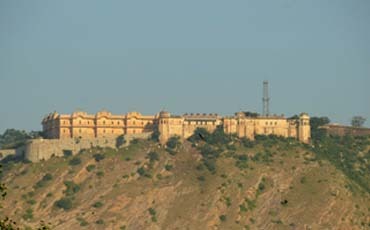 Situated at a height 431 meters above the sea level.There are various legends as, why Jaipur is known as the Pink City two of which are worthy of mention.It was believed that the Prince of Wales late Edward VII visited India in 1876 A.D. during the reign of Jai Sigh. On his arrival he was accorded a warm welcome and the entire city was paved with pink Bajri or fine gravel thus giving it the name Pink City. 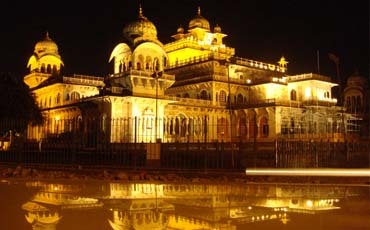 Another theory is that Maharaja Jai Singh II was an ardent devotee of Lord Shiva. 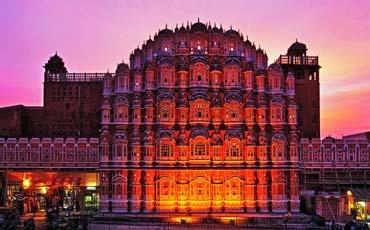 As terracotta is the favorite colour of the Lord he painted the entire city pink .